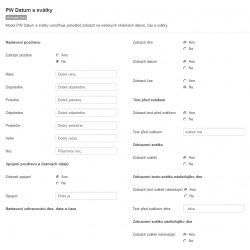 The module allows you to conveniently view the date, time and Slovak holidays (names) on the website. 1. Install Administration module » Extensions » Extension Manager »Upload file with package. 2. Go to Module Manager and modify module configuration to customize the module.